To do this, go to Settings > Account > Contacts. Here you'll see a view of all the customer contacts in your system. 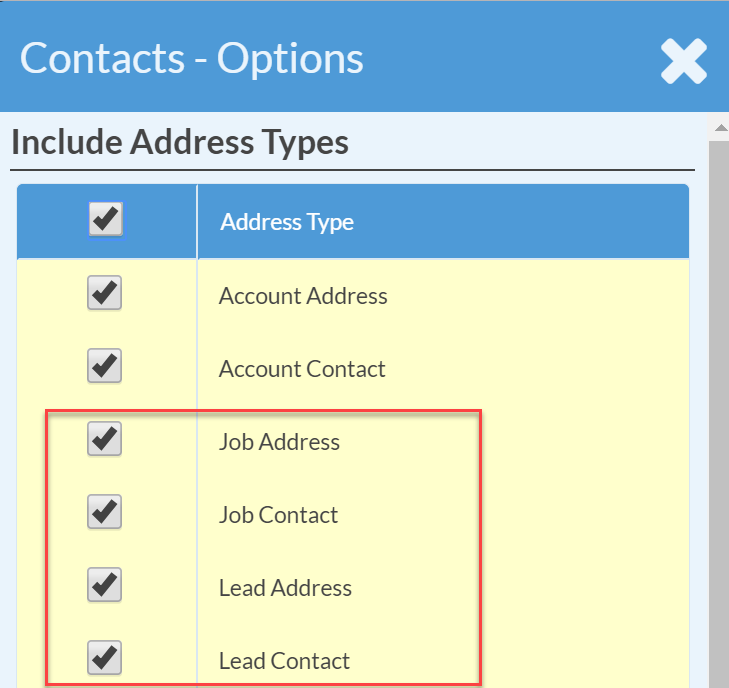 You can choose a saved view or click Options to choose which contacts to include. Depending on the view settings you use, contacts will sometimes be repeated. This happens because Job Contacts are inherently also Account Contacts. Once you have a view with the contacts you want, you can click the Export button to download the contacts to a .csv file.